The natural diet pill that is highly advised not to attempt to pronounce when drunk! May well be unfamiliar to a UK consumer but the United States are very familiar with FucoTHIN. 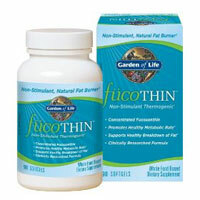 FucoTHIN is the diet pill with the unfortunate sounding name that claims to be the No.1 selling diet pill (in the United States) in the natural health product industry. This is a claim made by several weight loss product manufacturers and usually not substantiated. In all probability FucuThin is not the best selling natural diet pill – the diet pill industry watchdogs do not monitor the practices of the over the counter market and herbal/natural market as closely as prescription drug classed medication and so pretty much any claim can be made. The main component or active ingredient is Concentrated Fucoxanthin – a type of seaweed combined with pomegranate seed oil, for a patent-pending formula that is naturally thermogenic. Thermogenesis is the process by which the body increases its metabolic rate, requiring utilization of internal stores of energy, such as fat. Which sounds great in theory but in reality FucoTHIN is just a fat burner – there are very few fat burner that are effective. Although the product comprises of mainly natural ingredients some side effects have been reported. Allergic reactions such as hives and other skin disorders have been associated. On the positive side though, none of the symptomatic side effects normally associated with fat burners seem to have affected FucTHIN users such as anxiety, insomnia and other restlessness issues. Its own marketing is very positive – lots of customer positive reviews and success stories – although this hardly an unbiased resource. Either from the official website or from a multitude of health stores and high street outlets (mainly in the USA.) FucoTHIN doesn’t seem to have made it way to the UK just yet. Little known in the UK and probably not worth risking a purchasing – the company behind the product seem professional enough but customer issues may prove difficult considering they are based across the Atlantic. In the review we highlighted that very fat burners were effective. Possibly the most effective commercial product is Phen375. 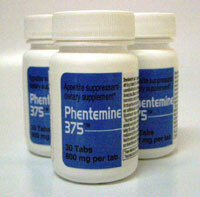 Phen375 is based on Phentermine the prescription only diet drug. Phen375 is a fat burning product with ingredients included that also suppress appetite. It is made in FDA approved facilities and not for the feint hearted. Its ingredients are pharmaceutical grade – if fast sustained weight loss is what you want give Phen375 serious consideration.